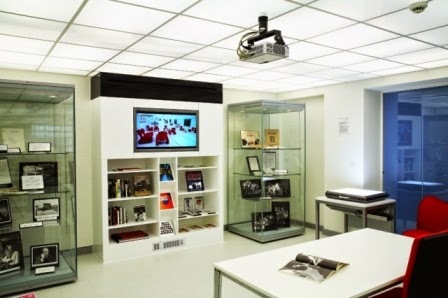 Inside London College of Communication at the Elephant and Castle is the University’s Archives and Special Collections Centre, and within that is the Stanley Kubrick Archive, a collection of materials and resources spanning the entirety of the film director's career. Archivist Richard Daniels takes us on a tour of the archive, dipping in and out of Kubrick's boxes, looking at props, costumes, photographs, correspondence, books and many other things. We're also treated to the other collections in the archive, including the Tom Eckersley Collection, Her Noise and rare Robert Crumb and Art Spiegelman originals.